The picturesque town of Los Algodones, is one of the most popular destinations for people all over the world, specially form the United States and Canada, thanks to its convenient location in Mexico just crossing the US border, to get access to incredible offers out of this world in dental care, saving up to 70% in procedures alone, but the best part of traveling to visit this cozy town doesn’t end there, there is so much the dental capital of the world has to offer. Los Algodones is located at just 10 miles from Yuma, Arizona, heading to the west, people can park their car in the parking lot right outside, in the US side, ran by the local Quechan tribe, asking $6 for the day to watch your vehicle, and from there it’s less than 10 minutes of walking to enter to Mexico, and you will be right in the heart of Los Algodones! Take note that the gates open at 6 am and you won’t need passport or ID for getting in. But you do have to keep in mind that you will need to bring those important documents with if you want you to get back home. One final suggestion before you decide to embark in this nice money saving adventure in Mexico is that you should check the United States Costume Services website to consult which object medications will need a prescription from the States to be legible to be introduce to the country. And we touch that subject because we want to cover all the other medical attention and stuff you can get at ridiculously discounted prices compared to home besides high quality dentist in Los Algodones, to help you get an idea if you never had been there before and squeeze all the goodness and perks you can get from your trip until the last drop, saving you thousands and even hundreds of thousands you would waste a year paying US prices. Sight is one of the most important traits for human beings, whether the person is having trouble with their vision due to the natural process of aging or a specific medical condition that affects the eyes, chances are that they will need to use the correct glasses and lenses to solve the problem as soon as possible and improve their health, forcing the eyes to see often deteriorates them in the long run, not counting all the risks that this implies to the person and others, like driving without our prescription glasses or just walking careless on the streets. But let’s be honest here, not all of us can pay for a pair good quality glasses or contact lenses, sometimes we have opted for the cheapest model that not only is very uncomfortable to use, it’s also very ugly, making us feel some shame to use it in public, so we don’t use them as often as we should, not mentioning that they get scratches and break apart easily. In most of the optical clinics in Los Algodones you will be certainly surprised to buy your prescription lenses and glasses dirty cheap, and we are not talking about any kind of glasses, we are talking about very well know designer brands, like Gucci, Emporio Armani, Carrera, Calvin Klein, Carolina Herrera, Spy +, Cristian Dior, Police, Ray Ban, and many more! You can get your favorite model like Aviators or Wayfarer without taking a huge blow to your wallet. If the language barrier is one of your concerns then you have to worry no more, all the practitioners and their staff speak fluent English and accept many forms of payments to accommodate to your needs and concerns, so don’t doubt to ask about it when you go to get your contacts lenses or glasses. 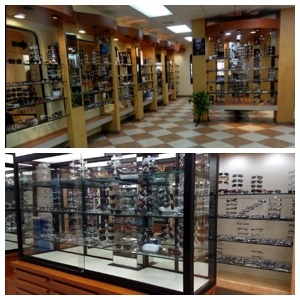 Some of the places you should check out are Los Algodones Optical, Baja Optical, Gala Optical, Gomez Optical, and the Eye Care Center, but of course, there are many options in town that we suggest you definitely have to check. 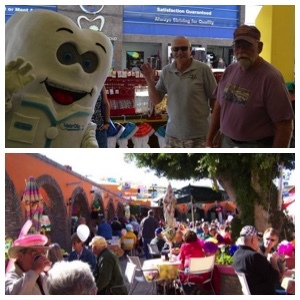 If dentist in Los Algodones are the stars of the show, then pharmacies are not that far behind, we can easily call them the co-stars for their crazy discounted prices in prescription meds that also help more than 3000 tourist that step in every day this beautiful town, seeking to save costs on dental work. Purchasing meds to certain treatments back in the States can get very expensive, and not every people can afford a good plan to cover their needs, just the as the same with dental procedures, Los Algodones pharmacies offer costumer a much more affordable option to getting original prescription medications, saving more than 70% in costs compared to local pharmacies. Just to put things in perspective, there is a face cream called Retin-A in the States, which cost oscillates around $20, but in the average Algodones pharmacy you can get the generic version for a nifty $2! Making the trip from Canada or the US so much worth it to get all kind of meds almost free. But not just face creams, let´s talk about some of the most used medications we always use and have at home, a bottle of Ibuprofen of 800mg, can cost you less than $5, same with Amoxicillin, Viagra and many others. Of course this are the prices of the generic presentation of these drugs, but you can also get the branded ones at low prices too, obviously the generic brands will save you a lot of money, remember too always check the dosage and exact medication to not make mistakes in your purchase. When in Los Algodones seeking for prescription medications, what you really want is to walk around before you decide to buy any med and do some window shopping and ask in the store to scout the prices to get most out of your budget, remember to always ask about discounts and paying methods, most of the pharmacies in the town offers many facilities of payment and work with insurance company of the States. There are many sites you can check out, and one of them is Baja Drug Store, located Ave “A” Between 2nd & 3rd Street Gisela, attended by its own owner itself José Cochram, with more than 20 year on pharmaceutical experience, more than ready to help costumer to find what they need, also there is an optical part if you are thinking you need some new pair of prescription lenses or glasses too. When you first enter Los Algodones, Mexico, one of the first buildings you will see is a massive purple block in front of you, this peculiar building would be the famous The Purple Pharmacy, and there is a huge chance that you may have heard of this place if you talk to people that have traveled to this cozy little town. The Purple Pharmacy runs by the name of Liquis, and is a huge drug store that not only possess a dedicated pharmacy area with some of the best prices in prescription meds and more, but they also sell snacks, liquors, bakery, wine, beers, ice, perfume and more, you’ll feel very familiar due to the facts that shares many similitudes with big department stores back in the United States. Feel free to visit any of its several branches scattered throughout the town, it won’t disappoint you, besides they are one of the few pharmacies in Los Agodones that work with US insurances, such as International Medical Solutions and Gilsbar. Finally, remember to always take with you in your trip to Los Algodones pharmacies your prescription to avoid any problem with US Custom Services Office when you cross the border to return to your home. Well, so far we have mentioned all about the most trending services you can get in Los Algodones to save money, but dental services, drugs and eyeglasses are not the limit, you’ll be surprised to know that they are just the tip of the iceberg, there are many other medical services and procedures you can acquire spending so much less than you would in the United State and Canada. 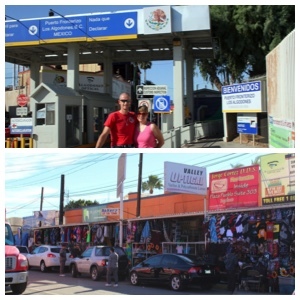 That’s why we are going to present you a short list of other advantages you can get for traveling to Los Algodones, Mexico besides your visit to your dentist or preferred pharmacy looking to maximizing the value of the experience saving thousands of dollars for just crossing the US-Mexico border. If you are looking for some hearing aids, then Los Algodones certainly don’t fall back, you can encounter several clinics and store to help you get audiometric evaluations by really good audiologist, is important to remind that most of the professionals in town have gotten their degree in US soil, fulfilling international health standard to provide the best service possible to their customers. So there is no need to feel discourage at all, you can repair, clean, ask for adjustments and get new batteries for your hearing instrument for the best prices you will ever pay in your life. Also the staff are really capable to guide you and solve any doubt to help you get hearing instrument that suits you the best, Full Shell, Canal, Half Shell, behind the ear, you’ll find everything without any doubt in town. Need to get some test done? You can get full laboratory services in Los Algodones without breaking any sweat too! You can expect the same standard and quality as you would receive in the United States, but not at the same cost because it is so much cheaper than your average laboratory, you can get check, you blood count, kidney, lipids, liver all together for just $48, it’s incredible! There is a very long list of skin treatments you can get in Los Algodones, just to name a few so that you can get a clear idea, you will find traditional procedures like skin Cancer Screening, Varicose Veins and Spider Veins Treatment with Laser, Cosmetic Chemical Peelings, Fillers such as Botox, Surgical Removal of Benign Tumors and Cysts, Laser treatment for hair removal, Tattoo Removal and Resurfacing, and more moderns ones like fractional CO2 laser for getting rid of those pesky wrinkles, laser treatment for eliminate fungus infections on toenails, and the list goes on. One of the most famous and successful dermatology doctors in Los Algodones is Dr Robert Flores, located at #320 in Ave “B” & Saratoga Blvd; he receives many patients from the United States to treat their skin, hair and nail Abnormalities and diseases that afflict them, offering a top quality services, for their international patients, he charges just $45 for the initial exam and has superb deals for other treatments like Botox, fillers and laser procedures. Aging is not easy, and our body tends to endure less and less physical activities like we would like to, we wish we could move and be nimble like a child or a youngster, this means that we are more likely to suffer from neck, backs pain, nasty headaches, you get the idea. Luckily this is another service Los Algodones got you cover, there is many well trained chiropractors in town to release you from your suffering. Such is the case of Dr Richard Madrid, in #102, located in Ave. B at the Family Health Center, with chiropractic that can change your life, so he claims, with more than 42 years of chiropractic experience, specialist treating headaches, neck and back pain, and sciatic nerve pain. Because we love our pets so much that they become part of the family, they deserve the best treatment too, Los Algodones have low prices for providing healthcare services to our mascots, from birds, to cats and dogs and more, you will find excellent prices and options to give them the best attentions for their wellbeing. You will find clinic attendance like surgeries, hospitalization, vaccines procedures, dental cleaning and dental extraction (remember we are in the dental capital of the world! ), diagnostic services, flea killer baths and more aesthetic procedures tail and ears cutting and grooming. Besides you can find everything your pet needs, accessories, toys, food, and medicaments too!